Here we are, a bottle pumped with carbonation, ruminating over our escape. And there we go, acting in haste, guided by chance, the accidental becoming the aesthetic. 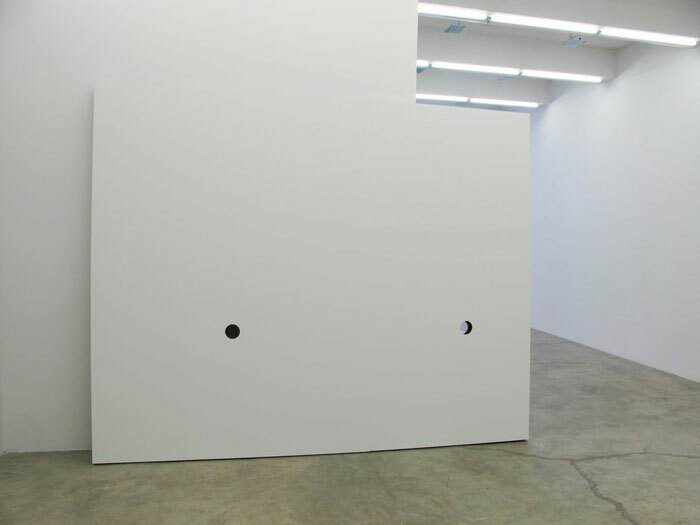 Dominic Nurre will present a movable glory-hole wall. Unattached and free-floating, the wall has been removed from its architectural use, narrowing its function to that of an object through which actions can be performed. Precariously placed halfway in the space and halfway leaning against an interior wall, it exudes neither a feeling of coming nor going, as if abandoned between two venues, yet ready at a moment’s notice to be activated. Kyle Thurman’s Untitled (Freedom), depicts a personal experience where the confined urban environment produces conflicting feelings of beauty and anxiety. The video shows the back of a yoga studio filmed from the artist’s apartment where the sounds of chanting and screaming from a yoga class are heard - and at times, battle with surrounding noises of the city environment. 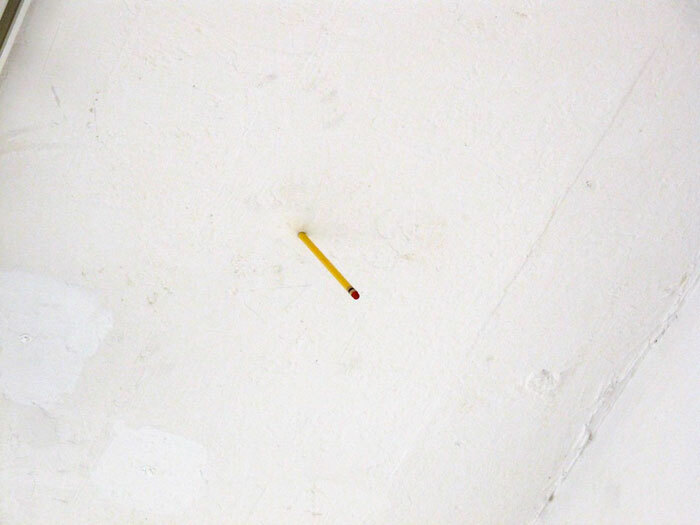 In Satellite, Brendan Lynch throws a pencil, sharpened-end first, into the ceiling. Channeling a bored, frustrated student acting out while his teacher turns her back to the class, the artist’s seemingly spontaneous action becomes a gesture of defiance. 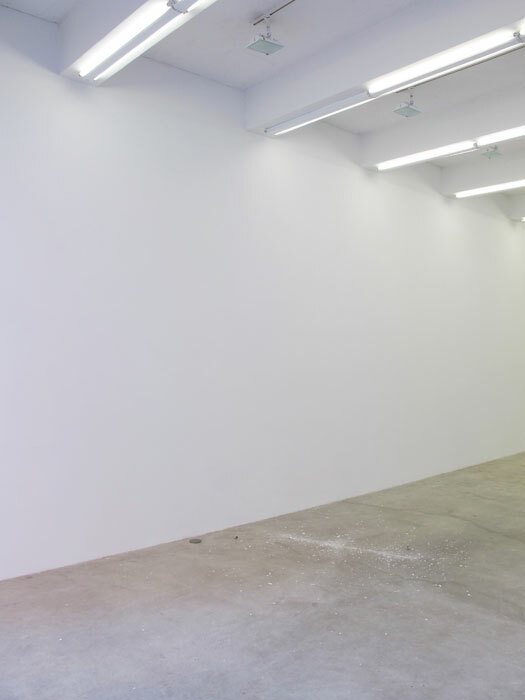 Daniel Turner will exhibit a florescent light that has fallen from its fixture. Succumbing to the unrelenting pull of gravity, the light shatters on the floor in a newly darkened section of the gallery. 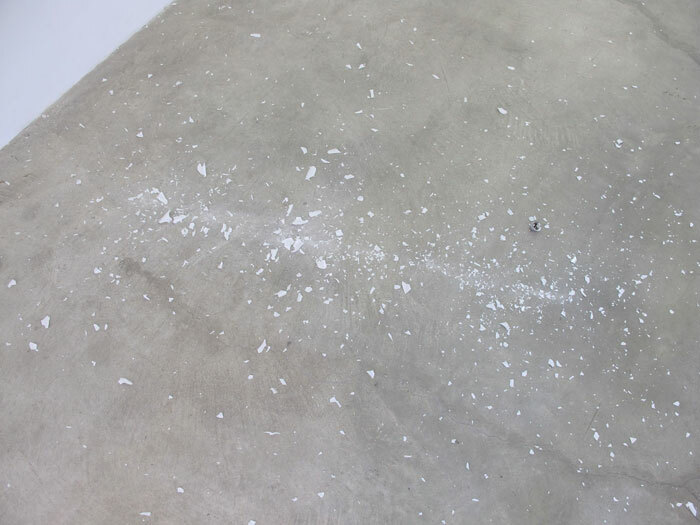 No longer functional, the fragmented glass is spread about the floor like granulated sugar.